Simple lines with contemporary styling, the Thor Chair exhibits all the classic traits of Italian Artisan craftmanship from Philipp Selva, the use of high quality materials and attention to detail. 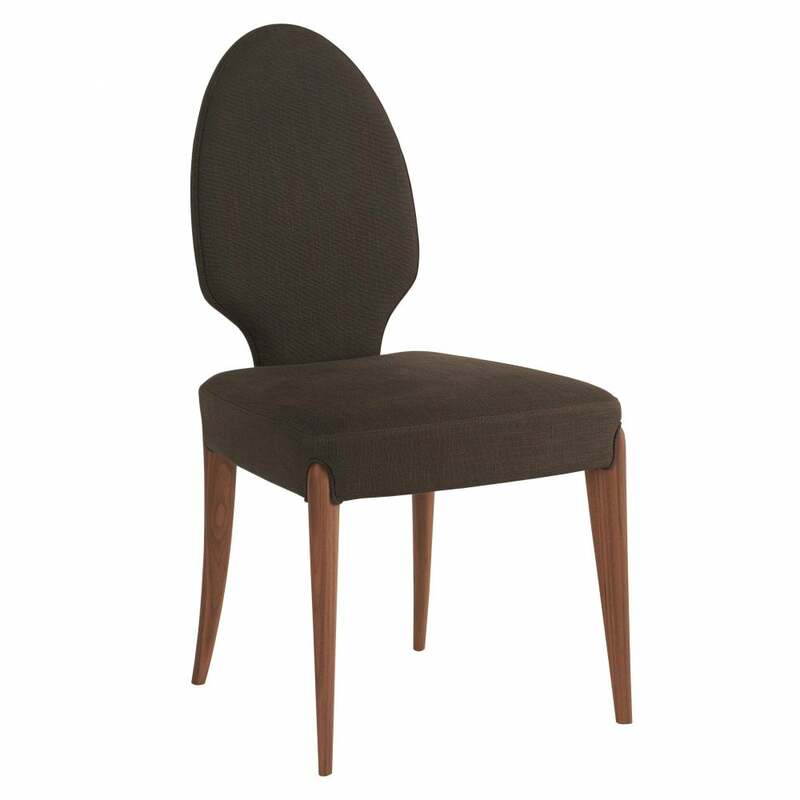 Fully upholstered seat and back on an American walnut frame, providing ultimate comfort and support, nothing lost in the simple design. The stunning curved, oval back is immediately eye catching, the deep seat offering true comfort through it's cold foam contouring on webbing. The beautiful contrast of the piped finished upholstery and the smooth, warm American walnut is a huge aesthetic draw. Create a stunning centre piece dining set by combining with the Indigo Dining Table.